Showing results by narrator "Paul Ewing"
"Successful trading requires 10 percent skill, 10 percent luck, and 80 percent mindset," says author and millionaire trader Kenneth Kam. Kenneth adheres to this notion completely, and in this audiobook, he places deep emphasis on taking a calm, disciplined, and focused approach to the markets. He also paints a clear picture on how to tune your self-management skills while succeeding at risk management. 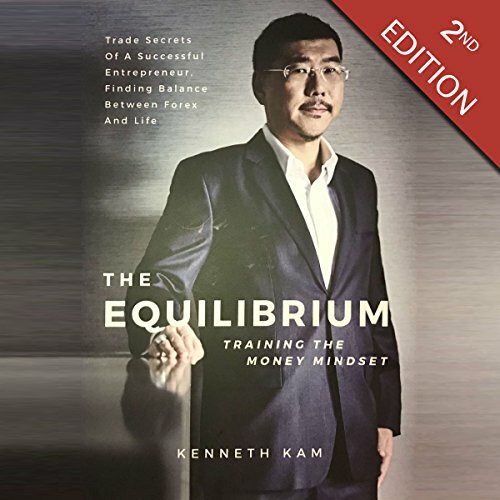 The Equilibrium charts Kenneth's unique Forex journey and explains how mindset, determination, and strategy play important roles.